Although the deleted file has been moved to the Recycle Bin, it is possible to recover the files that have been removed even from the Recycle Bin. So, when you discover that some important data has been lost, do not create any new file until all the previous data has been restored. If the system overwrites new data to the storage space of the previous data, recovery through free data recovery software won’t be possible. Most of the time, free recovery software works effectively. With greater awareness about electronic crime and strict enforcement of legislation relating to electronic crimes, there has been considerable progress in the efficiency of free data recovery software. 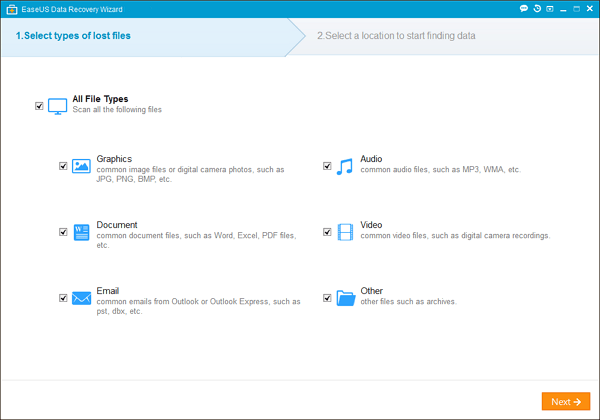 These software typically work by scanning the system or storage device such as a flash drive or CD. The data recovery software locate information or file structures that can help them put together the different parts of the original file. Usually, this includes the Master File Table or MFT, the header, footer, and content of the file, depending on what is available. However, if the data or files have been lost due to a malfunctioning hard drive or other components of the system, or any other kind of physical damage to the system, then data recovery software cannot be used to recover the data. The data can still be restored, but the system will have to be sent to a professional hardware recovery expert. Several free data recovery software are available online and can be downloaded to your system. A good example is EaseUS that works efficiently on Windows as well as Mac OS. It can be used to recover data that has been lost even due to hard drive damage. Other free recovery software that work as well are Recuva, Puran, Disk Drill, Glary Undelete, and Wise Data Recovery. Once downloaded, these software take the user through a series of simple steps to recover lost data. However, it is important to ensure that whatever software you download is offered by a reliable publisher to avoid getting viruses on your system. You should also avoid software that scans your system without changing the data present on your drive. Once the data recovery is complete, make sure you preview the recovered data.